I wanted to wait to write up my review of Dark Souls 2 simply because sometimes, a game can take time to really become enjoyable. You learn things along the way that can change your perspective of certain things like the environment, the story, or even the mechanics. As you play the game more and progress, something that may have been really stupid at the beginning suddenly becomes critical to the end game in a meaningful way. Dark Souls 2 didn't get better over time. I've made it perfectly clear numerous times that Dark Souls is easily the best game I've ever played. Though the start may be slow and you may not have much of an idea of your specific purpose in the game, as you progress you learn what you're meant to do and attach to the characters you meet along the way. Everyone around you suffers, and you can either cultivate this cycle by linking the flames, or let the fire go out and begin a new era of Dark. 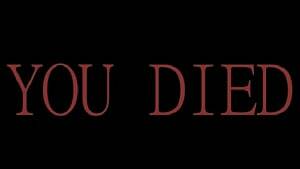 Dark Souls 2 begins with what appears to be a look into the player's specific story. You're accursed with the Dark Sign, you had a wife and a child (or a sister and a niece if you made a female character, a friend and her daughter, whatever) who you may have hurt as you were going hollow. Okay, that's... well, that doesn't tell me anything about the world I'm entering or the situation we're faced with as Undead. They'll explain it as we go along, I thought to myself. The beginning of the game was its biggest mistake. Many people these days don't give enough credit to the opening sequence. The intro to Dark Souls was one that told us the reason the world was in its current state and our place in it. 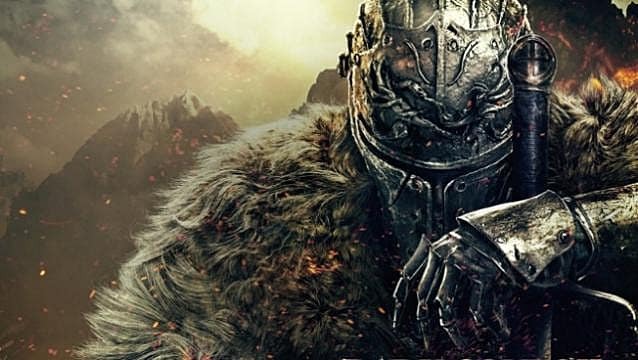 Dark Souls 2 affords us none of that, and even the firekeepers don't give us much more information than we as players already know--we're undead going hollow, and we're going to die a lot on our quest for souls. To me, this felt like the developers taking on bragging rights for another Dark Souls game. "Get ready to die a lot as you try to beat this." Right away it set the tone that this title was going to be difficult more for the sake of being difficult than offering anything meaningful to its story. You're not introduced to any of the critical characters in the universe, you know nothing about them, and thus far there isn't anything in the game that is helpful. I felt starved for information and disconnected because I had no idea what was going on. Yes, you can learn a lot from item descriptions and dialogue, but given all the stupid side bosses you came across during the game, it's entirely possible to miss key elements on one's first playthrough; and unlike Dark Souls, the game wasn't interesting enough for me to complete a full NG+. It was hard simply for the sake of being hard. I won't argue that Dark Souls 2 wasn't hard. It certainly was. That being said, the mechanics in Dark Souls and Demon Souls are primarily single-target focused. 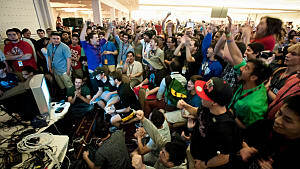 Players are rarely faced with a mob that they cannot pull one at a time in order to safely defeat enemies and progress through an area. These enemies were hard, but they were also pretty fair in terms of move sets and the proper limitations. A major flaw in this system is the group-focused combat in Dark Souls 2. The targeting is still single-target focused, but suddenly we're introduced to mobs that we can't separate when we pull them due to tiny spaces or stupid tracking systems. Boss fights are hard because we now have tiny little mobs to worry about. Duke's Dear Freja, for instance, is stupidly easy once you defeat its tiny little spider babies. 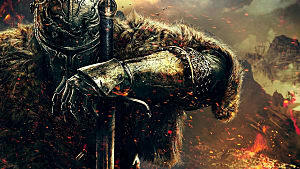 The fight isn't interesting; it's difficult only in its attempt to live up to the Dark Souls name. Suddenly, we're experiencing fights that aren't terribly rewarding because the player has to use cheap tricks like doorways, running through, and AI abuse in order to progress. Anyone who defeated Ornstein and Smough knows the feeling that comes from having completed that fight after countless attempts. However, that duo-boss sort of mentality is abused over the course of Dark Souls 2, making it more of a hassle than any semblance of fun (though the Executioner's Chariot was honestly a really fun fight, don't ask me why). The difficulty shouldn't have been the focus. The death counter, to me, was unnecessary. 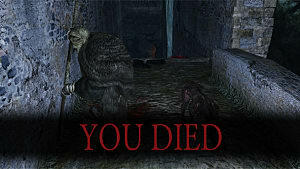 The emphasis that developers put on dying every ten seconds was obnoxious and didn't really do any favors to the Dark Souls franchise; especially when a lot of the boss/enemy fights felt cheap. Enemies suddenly track you and it's incredibly hard to dodge or roll--Dark Souls acknowledged that not only are some of these enemies ridiculously huge, but they're wearing insane armor and carrying ridiculous weapons. But now they can follow a player with no effort and no problem? Sure. Because Dark Souls 2. Also, the fact that you didn't even have to complete the main story line to access the end game didn't help anyone out. Suddenly Dark Souls is all about defeating bosses rather than being immersed in its story? A lot of the expectations I had about the game were ruined due to these strange workarounds. Soul Memory complicated PVP in completely unnecessary ways. I hated Soul Memory. I saw some vague desire for it, but honestly the problems it created outweighed the problems it was trying to solve. In Dark Souls, it was possible to spend your souls purely on upgrading weapons so that you could PVP against lower-level players and almost one-shot them. Once you reached a high enough level, if you wanted to PVP, you would stop levelling completely and focus all of your souls into upgrading your gear. Soul Memory completely negates that and also makes connecting with friends far more complicated. People you want to play with (not just strangers you want to summon) must be within a certain level and a certain Soul Memory of you. For example, my level 110 swordsman cannot be summoned by a level 15 cleric. Okay, that's fine. My swordsman probably has 1,000,000+ Soul Memory, meaning that over the course of the game I've collected one million souls, regardless of whether I died and lost them or I spent them on my weapon. A cleric at level 15 will not have anywhere close to one million souls gathered. They will probably have around 15,000-30,000, if that. Still okay. However, a perfect example would be of the Pursuer, the first real boss you encounter in the game. He appears once before you're actually meant to fight him, and it is possible to beat him when you first see him, assuming you know what's up and have two phantoms with you. He drops a decent number of souls (as most bosses do) and greatly increases your soul memory in comparison to players of the same level who did not defeat him right away. Suddenly, you're limited on who you can and cannot summon in the beginning area. It also becomes much harder to be summoned. 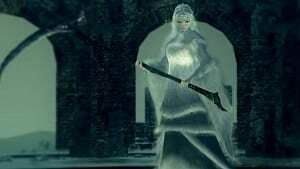 You can't summon or be summoned by people who are not in range of you--and while a similar mechanic existed in Dark Souls (you had to be within a certain level range), it was not at all dependent on the number of souls collected during your entire playthrough. I found this insanely encumbering and unnecessary. The characters were weak and insignificant. I didn't attach to any of the characters in Dark Souls 2 like I did in the first title. Sure, the Emerald Herald was interesting and I was happy to see her as I progressed through the game; but the only real reason I felt attachment was because I had to visit her frequently in order to level (another strange mechanic I didn't understand). Exhausting other characters dialogue rarely left me feeling anything for them or their situations. Players aren't faced with the same life-or-death choices as they were in Dark Souls. There are certainly instances where leaving someone petrified or trapped can make your playthrough easier, but... as far as not killing someone because you like them? I didn't feel any sort of remorse or empathy for the characters; I didn't feel any hatred or betrayal towards the characters who are supposed to be evil. The references to Dark Souls characters were about the only thing I honestly enjoyed--seeing the Old Dragonslayer in the cathedral was a thrill, and hearing of the Witch of Izalith from Straid and her connection to the Lost Sinner was an interesting way to intertwine stories. But that's because I enjoyed the strong, old characters from the first title--not because I was interested in the new characters telling me of this legend they heard about. All in all, it felt like an opportunity wasted. I wanted to like Dark Souls 2. I went into the game with excitement, and even some level of obsession as I was looking forward to the same level of storytelling and challenge as the first installment. Instead, what I got was a lazier attempt in all regards, with the rest of From Software's effort placed in tiny, annoying mob design. I understand that a lot of these changes come from wanting to appeal to a wider audience, and I am all for people playing Dark Souls. I want, desperately, for more people to play the first game before Games for Windows Live bites the dust. But suggesting Dark Souls 2 won't happen; if anything, this entry strengthens the things I love about Dark Souls and the reasons why I think it's a strong contender as one of the best games we've seen in the last ten years. I think I'll just play it instead. Dark Souls 2 isn't what I wanted it to be. Thanks for the review!! 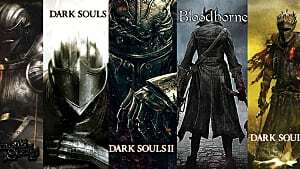 i just finished Darksouls 3-4 days ago and was already considering Darksouls 2. 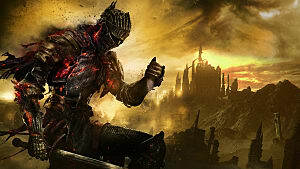 Surely an awesome game like Darksouls would mean Darksouls 2 is much better i thought, not able to contain my excitement i went ahead to spoil myself with blind walkthroughs and i was kinda disappointed with what i saw. Though it was a walk through just past the tutorial many actions just seems to become lazy, the leveling, the fighting, etc. 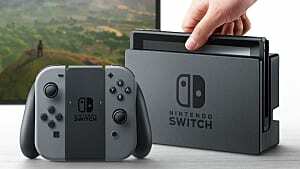 i really want to give it a good chance by buying it but i think i'll borrow one from my friend first to play past what ive just watched and if i still liked it, i'll support by paying for the game. That's an interesting take, Katy. I never really thought about the developers using the difficulty as too much of a feature, in and of itself. Not enough critics mentioned this (including me). i have to disagree with this review. this is not a game that should be passed up cause there is much more story than most realize. but it wont be told to you by the npc's. instead it is now imbedded in the world itself and you must play the first game to understand what you are seeing in front of, or in seath's case, above you. don't let this review hinder you from this amazing story even if the enemies are a little smarter than your average idiot. Huh, so I experienced the best boss fight in the game then? The chariot fight was in the Network Beta Test, so there's some irony. I did notice a more multiple-enemy style of things during the beta as well, but it wasn't obvious how different the world worked until I finally started digging into the original. Thanks for this! Great review and saved me some cash!